Updated Monday May 14, 2018 by ABR. 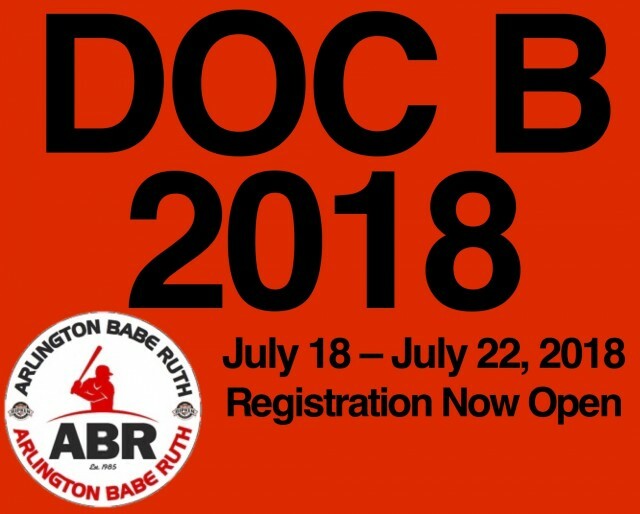 Arlington Babe Ruth Cal Ripken is pleased to open registration for the 2018 Doc Bonaccorso Summer Classic in Arlington, Virginia. The tournament will be held at Barcroft Park and Greenbrier Park , starting on Thursday, July 19th and concluding on Sunday July 22nd. We will offer four divisions, with eight (8) teams per division: 9U, 10U, 11U and 12U. The 9U and 10U divisions will play on 46/60 fields. The 11U and 12U divisions will play on 50/70 fields. The 12U division will use wood bats. Weather permitting, each team will play three games in pool play, with the top four teams in each division advancing to championship play on Sunday. Games will be played at Barcroft Park, Greenbrier Park, or Westover Park. Championship trophies will be awarded. Tournament t-shirts will be available for purchase. The registration fee will be $425 per team, per division. Again this year we will offer six (6) spots for the 13U division on Barcroft 6. The fee is $450 per team. If interested, please email us at thedocbon@gmail.com. The Doc will host a 4-team 8U Invitational. Participation in this event is $325 per team. This is a kid-pitch tournament. If you have questions, please email thedocbon@gmail.com. We look forward to seeing you again this year for another fun event!